It's always nice when money gets thrown at making epic videos of cars, and this one is so beautifully produced that it obviously cost a bundle. What could be more epic than a couple of Ferraris being treated like the rentals Rowdy and Cole duked it out with in Days Of Thunder? 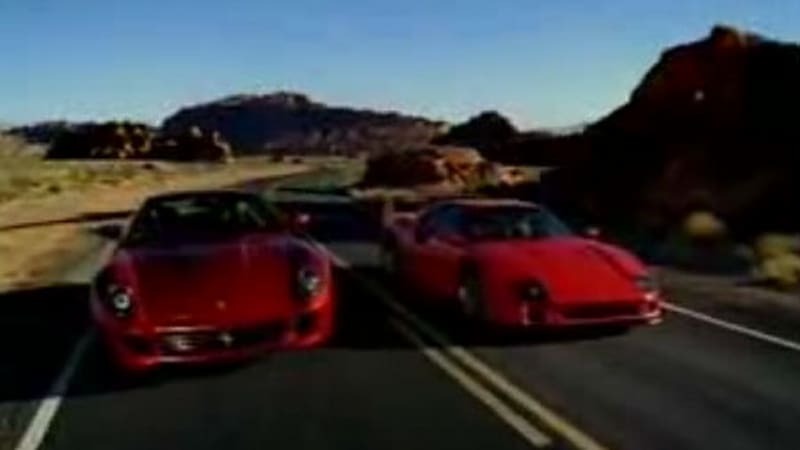 Okay, Ferrari and NASCAR, ne'er the twain shall meet, but what we do have here is a fantastically beautiful video of a Ferrari 599 showing the F40 what an old man it's become. Let's see, do we want to take the comfortable, easy-driving, fighter-jet fast GT, or would we prefer the raucous, painful, finicky throwback that's nearly as fast but is probably more exhilarating due simply to the cacophony behind your head? Either could be fun - follow the jump to see for yourself. Thanks for the tip, Johnny!